Esmee is touted to be the next big thing in Porsche track racing, having risen quickly through the ranks to establish herself as a born winner while setting a new standard for female racing drivers. Starting her racing career on go-karts at the age of 9, she moved up to racing cars by 15 years old. In 2016 Esmee progressed to GT racing and became vice-champion within her very first year. 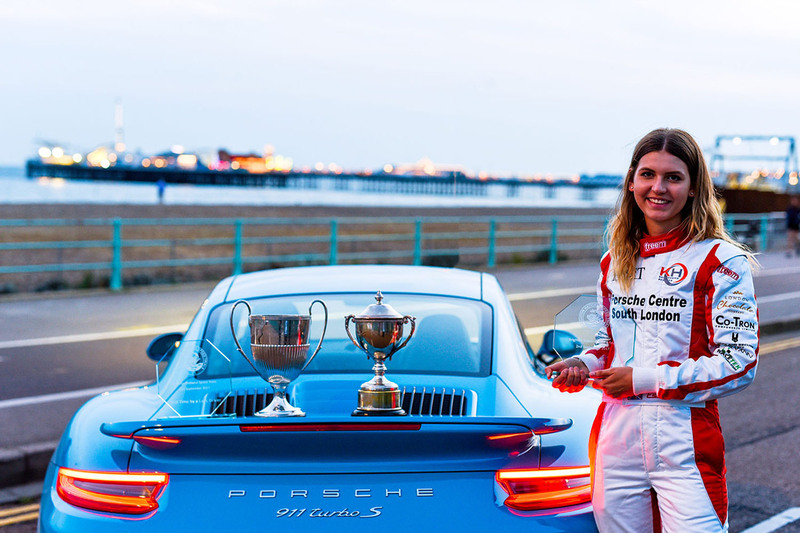 Last year, racing a Porsche Cayman GT4, Esmee continued a string of wins and fastest laps, winning the Brighton Speed Trials for Porsche GB in the process. Esmee will now be making the move to compete in the Porsche Carrera Cup GB Championship, and Prestige are delighted to be supporting her in her endeavours. The 2018 Porsche Carrera Cup GB season will get underway with the official media launch on 12 March, followed by another day of full testing on 13 March at Silverstone. The first race of the season will take part at Brands Hatch on the Indy circuit on the weekend of 7/8 April.